On Saturday, October 15, 2011, at 1 pm, come see Jessica Sewell talk about Selling suffrage in San Francisco's downtown shopping district. The talk is at the San Francisco Public Library, in the Koret Auditorium. Books will be available for purchase. At 3 pm on Saturday, October 15,1 911, join Jessica Sewell in a walking tour of sites of suffrage and women's history in downtown San Francisco. Meet at the Fulton Street Steps of the San Francisco Public Library and wear comfortable shoes. 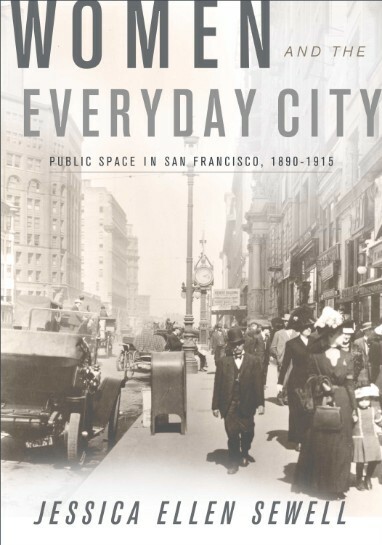 On Monday, October 17, 2011, at 6 p.m., join Jessica Sewell for a book event at the California Historical Society, 678 Mission Street, San Francisco. Books will be available for purchase.